Asda has been leading the way with their extensive Ramadan range, catering to both the younger and older generations. Ramadan has emerged in recent years as a month of extravagant spending that is rivaled, some say, only by Christmas. This is making high end fashion houses focus on the Ramadan buyer. Opinion: Want to enjoy Ramadan abroad? While many people resort to long hours of sleep to avoid hunger pangs and sweltering summer heat during the Islamic fasting month of Ramadan, others decide to travel. Thousands of needy residents are feasting on quality leftover food from posh hotels, supermarkets and homes, thanks to a joint initiative by a Dubai-based charity and Dubai Municipality. During a fast, your body generates its own energy by burning stored resources made from excess fats, carbohydrates and sugars to produce energy. Fasting is also a healing for the mind, body and soul in more ways than one. 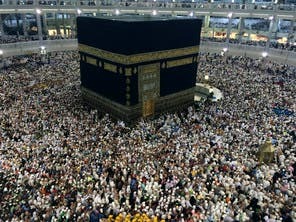 In Ramadan, France’s Muslims, a community of roughly five million people, spend the most in food products.French polling firm IFOP found that 71% of Muslims in France observe Ramadan compared to 60% in 1989. 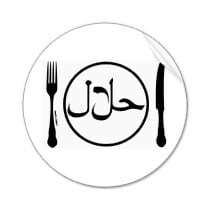 Many assume that fasting breaks down tissues and that Ramadan will cause a net loss of muscle and concurrent increase in fat; however, there is evidence that fasting actually makes the body more efficient. Prepare for the first night of Ramadan, for on this night Allah gazes at His creation, a special gaze which is unique to this Ummah. Allah will never punish the one upon whom He gazes.